Last week, we hosted an absolutely gorgeous retreat in Jamaica at The Runaway BnB. We were so inspired by all of the native flavors of the island, we figured we had to create a series of recipes using fresh, local produce. 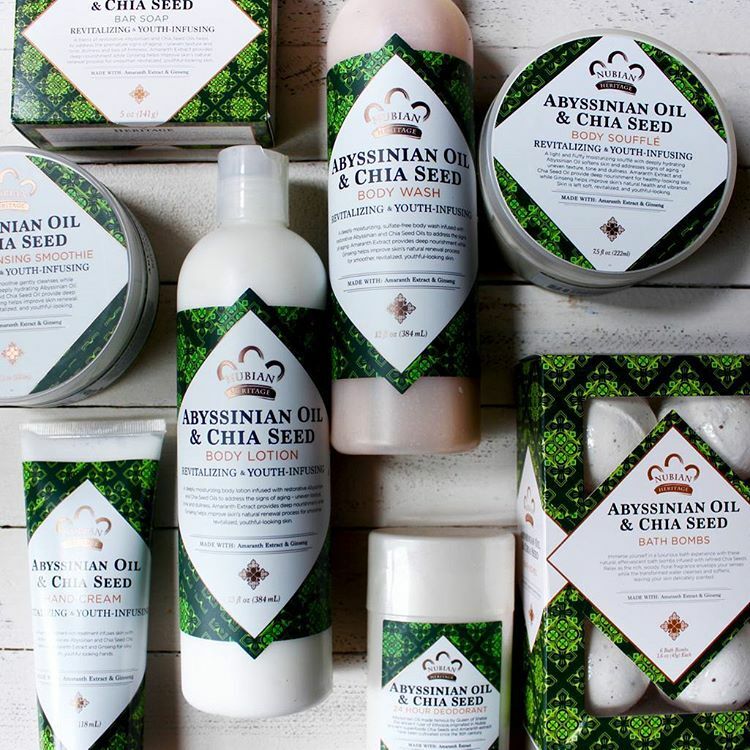 For this recipe series, we teamed up with our friends at Nubian Heritage, a skin and body care company that uses natural, certified organic and ethically sourced ingredients from around the world. 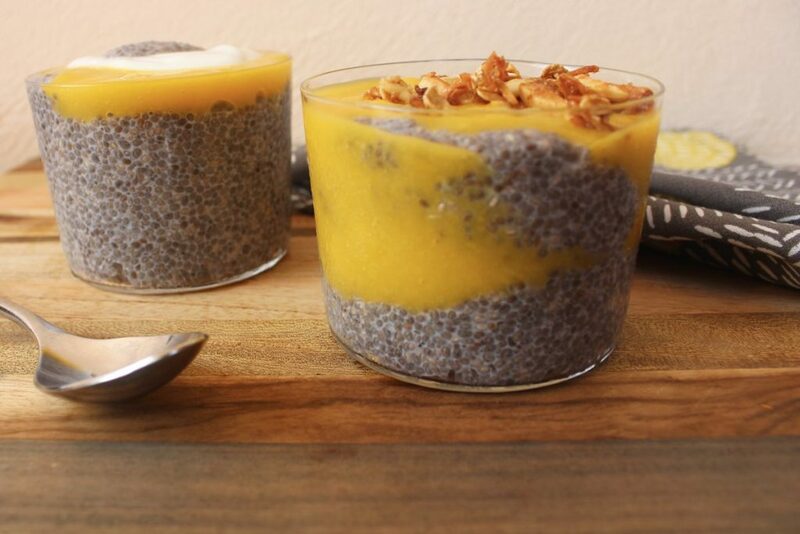 We used their Abyssinian & Chia Seed Collection (pic below) for inspiration for this mango chia seed pudding recipe. The chia seeds in this line are chock full of omega-3 fatty acids which are optimal skin nourishment. 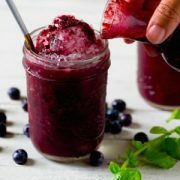 Chia seeds are also one of our favorite superfoods, and we try to incorporate a tablespoon into our daily food regimen. We love chia seeds because they provide a healthy dose of fiber, protein, and omega 3 fatty acids — which help to protect the heart. We make sure to add them to our smoothies, cereal and oatmeal daily. 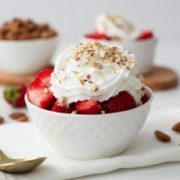 This pudding is a great yogurt alternative for all of our dairy free friends. 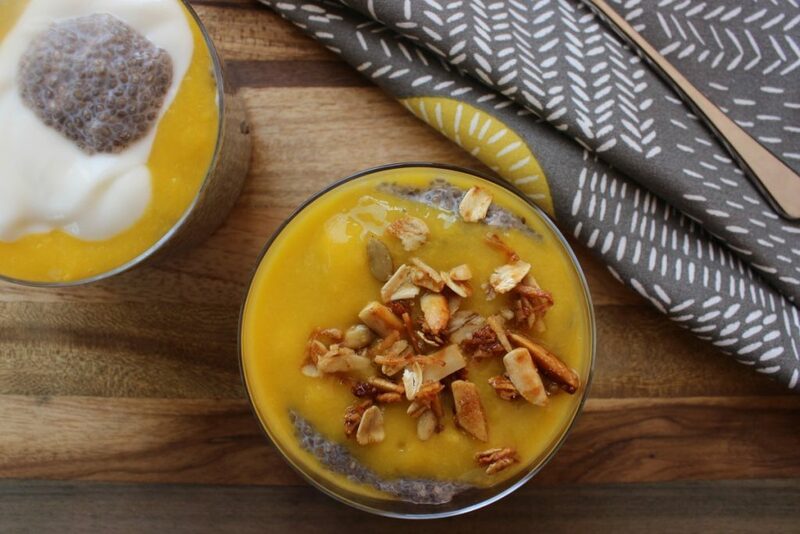 We figured chia seeds would be perfect to pair with the sweet, tropical mango. Since mangoes are higher in natural sugar, we made sure to pair this with unsweetened almond milk, which is sugar free and only 30 calories per cup. 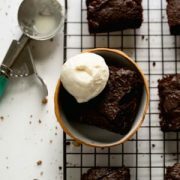 We couldn’t decide what to top the pudding with, so we gave you two options (both dairy free as well). The first is slivered almonds, which provide a fun crunch and punch of protein. The second option is coconut cream, perfect for those of you who are going to eat this pudding as a dessert. We'll start by peeling the mango and then chopping into cubes (don't worry, it doesn't have to be pretty because we'll be tossing it in the blender). This makes three portions. Have one now and save the rest for later. Enjoy! FTC: This post was sponsored by our friends at Nubian Heritage. Stay in touch with them via Instagram, Facebook, & Twitter. It looks delicious. Very nice post! I added an extra amount of honey, that was a mistake. I should have stuck to the original – thanks! I would love to attend a getaway retreat sometime in my life. It sounds like so much fun! Anyways, this chia seed pudding looks so colorful and delectable, as well as refreshing for a hot sunny day at the beach! Hi there! Would this be OK to leave in the fridge for a few days?